Which e-cigarette is most like my favourite cigarette? : The Electric Tobacconist Ltd. Many ex-smokers, when making the switch to vaping, are looking for a taste and nicotine hit that recreates the experience of smoking the cigarettes they are used to. It's hard to say exactly which e-cigarette flavour is like Marlboro or Mayfair or Pall Mall (for example), as people's taste buds vary; different flavour notes will be more pronounced for different people. After vaping for a while, you might even find that the taste of a cigarette is the last thing you want! This article lays out the available options for ex-smokers looking for a tobacco- (or menthol-) flavoured vape. One option is cigalikes, or cigarette-style e-cigarettes. Cigalikes have similar dimensions to regular cigarettes, and tend to come with medium to high nicotine content. For recent converts to e-cigarettes, this can be really helpful; if you used to smoke regular cigarettes, the nicotine strength of most cigalikes should be about the right amount to satisfy your cravings. One cigarette-style option is the Hoxton Classic. 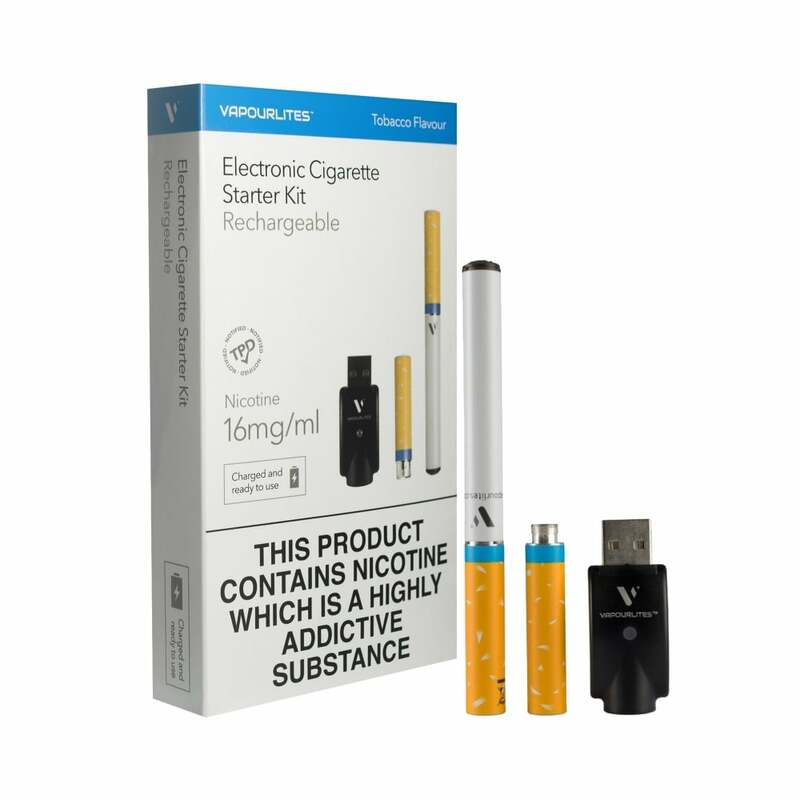 Refills for the Classic are available with a high nicotine strength (18mg or 1.8% nicotine); this is perfect for former smokers who need a strong throat hit of nicotine. Most cigalikes are available in both tobacco and menthol flavours (as well as a range of others), so both standard and menthol smokers will be able to find something for them. For a straightforward British tobacco vape, try out Webster's One Pound Wonder British Gold, Hoxton Click British Tobacco e-liquid, Socialites Rich Tobacco e-liquid, Cirro British Gold e-liquid, KiK Number 88 Tobacco e-liquid or VIP British Gold e-liquid. For a smooth tobacco taste, Dinner Lady Straight Tobacco, Vype Blended Tobacco e-liquid, KiK Smooth Tobacco e-liquid, Vapouriz Classic Tobacco and Vampire Vape Smooth Western V2 e-liquid fit the bill. For an American-style golden tobacco experience, try TECC Titus ADV Titus Tobacco e-liquid or Vype Golden Tobacco e-liquid. For a taste of hand-rolled Virginia tobacco, ideal for former roll-up smokers, give Webster's One Pound Wonder Virginia Rolling, Halo Vapor Co. Classic Virginia e-liquid, Cirro Virginia Rolling e-liquid, Vapourlites Virginia Tobacco e-liquid, Socialites Fine Tobacco or Hoxton Rolling Tobacco e-liquid a go. For a strong, robust tobacco flavour, Webster's One Pound Wonder USA Red, KiK's USA Red e-liquid and Halo Vapor Co. American Red e-liquid are great options. These are perfect for ex-smokers of stronger-tasting cigarettes. For vapers looking for a taste similar to silver- or gold-labelled cigarettes, KiK Gold & Silver Tobacco e-liquid is ideal. For a slightly sweeter, lighter tobacco, try Vampire Vape Sweet Tobacco e-liquid. For pipe tobacco enthusiasts, try Dinner Lady Cherry Tobacco for a cherry pipe tobacco. For an RY4-inspired mix, try Webster's One Pound Wonder RY4, Baccy Roots Shanghai or Dinner Lady Caramel Tobacco. For a Cuban tobacco flavour, try Ohm Brew The Cuban. For something a bit different, try out Hoxton Click Liquorice Tobacco, Baccy Roots Five States or Baccy Roots Original. For menthol smokers, try Dinner Lady Mint Tobacco, Apollo Classic Tobacco-Menthol e-liquid or Hoxton Menthol King e-liquid. Our full range of menthol blends is available by clicking here. If you're looking for a nicotine salt e-liquid that recreates the sensation of smoking, try one of Ionic's tobacco blends such as Cigarette e-liquid, Rolling Tobacco e-liquid or RY4 e-liquid. Browse our full range of tobacco e-liquids by clicking this link. Please note: if you are not using a kit designed for sub-ohm vaping, make sure to choose an e-liquid containing more PG than VG, or a 50/50 PG/VG blend. High-VG e-liquid (60% VG or above) is too thick to be absorbed by the coils used in normal vape pens, and will give you an unpleasant taste. Pod mods are huge at the moment due to their unbelievable convenience and the fantastic vaping experience they provide. Rather than having to refill an e-liquid tank, pod mods take pre-filled e-liquid pods which simply slot into place in your device with no hassle. There are a range of great tobacco and menthol pods available which have a cigarette-like flavour. A fairly recent introduction to the vaping world, nicotine-salt-based e-liquids give you all the satisfaction of a strong, cigarette-style nicotine hit without the harsh scratchiness in your throat that stronger e-liquids can sometimes give. The most straightforward option for trying out nicotine salts is to pick up an Aspire Gusto Mini. The Gusto Mini doesn't need refilling with e-liquid as it's a pod-based system; just pop in a pre-filled e-liquid pod and you're ready to go! All of the Gusto Mini NS20 pods are made with nicotine salts, and there are a range of flavours available from Honey Roasted Tobacco to Frost (Icy Menthol). Other options include the HEXA pod system, which uses a blend of nicotine salts and regular freebase nicotine in its refills; the Kilo 1K, which takes nic salt refills blended by the world-famous Kilo; the Mylo Stick, which takes pod refills containing nic salts by Ohm Brew and the Epoch from Ald Amaze, which also has a 20mg nic salt blend in all refill pods. We also offer a range of nicotine salt e-liquids for use in your starter kit, including ranges from Ionic Salts, Ohm Brew, SALT and Nic Rush.